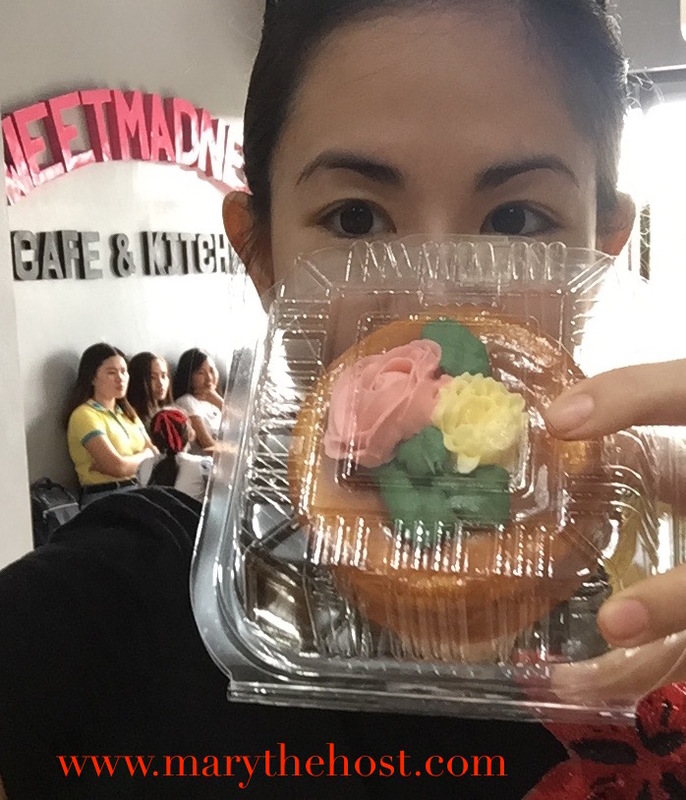 Chase away the sadness and chill at Sweet Madness! 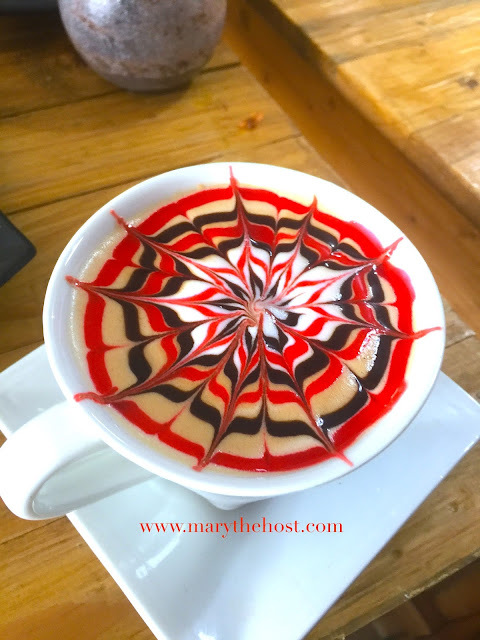 Spiderman would love that mocha latte art design for sure! And I just had to put this salted caramel cake on my face. Seconds after I took this photo, the cake is history. It was so good; I loved the soft chiffon cake underneath all this salted caramel delight! 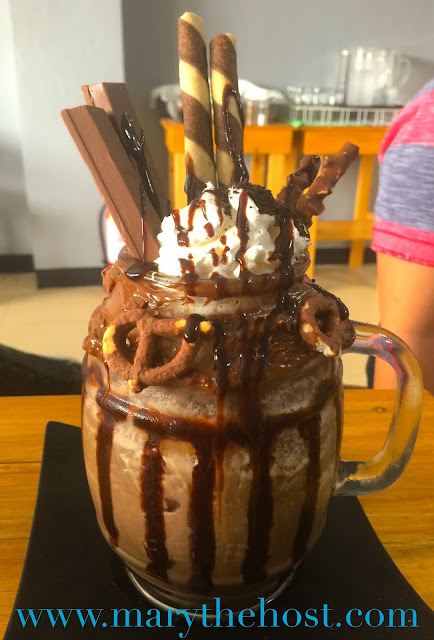 See those yummy pretzels, chocolate wafer sticks, kitkat fingers, creme, chocolate cookie crumbs and the devilish milk chocolate drizzle? It is just madness! Pure... splendid... amazing... crazy... chocolatey Sweet Madness!!! 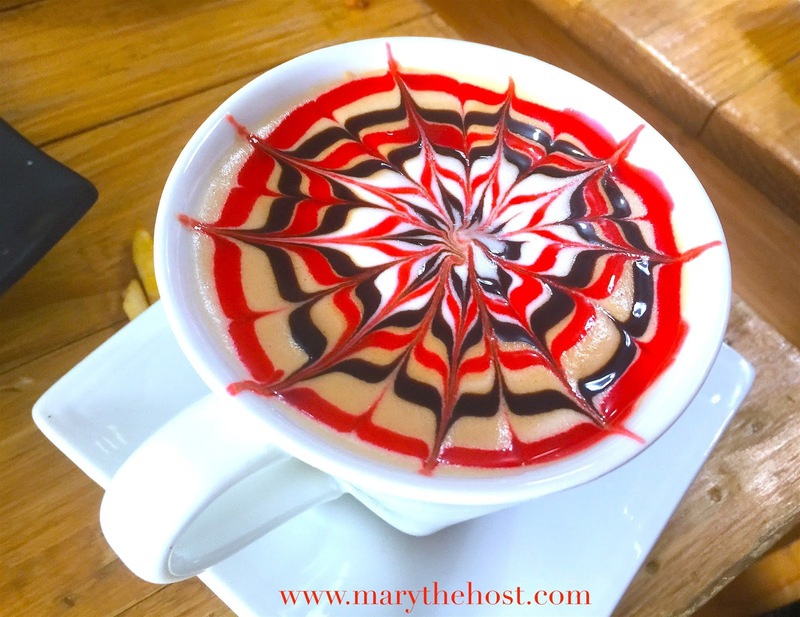 I absolutely loved how the love of my life, my sweet Matty enjoyed everything about Sweet Madness Cafe x Kitchen! 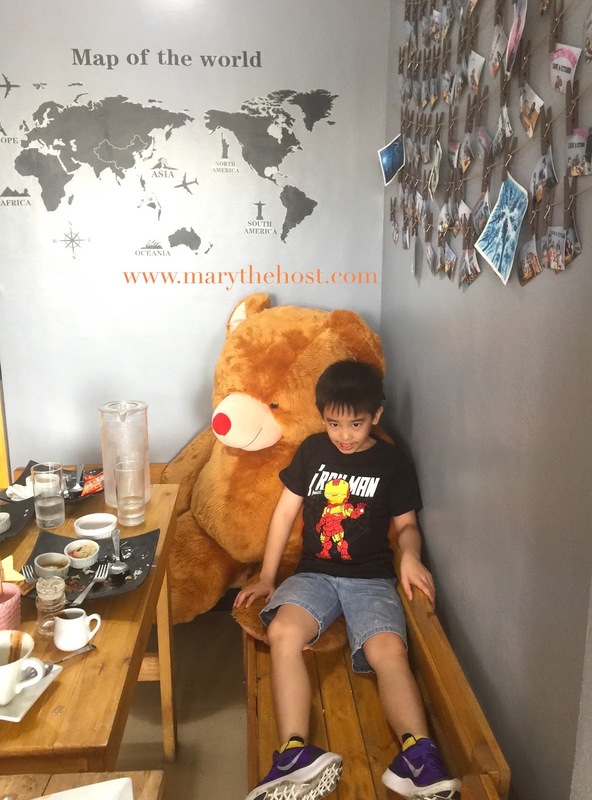 He doesn't like girly stuff, but he did not mind this teddy bear lounge at all! Apart from the great food, we all loved the ambiance. 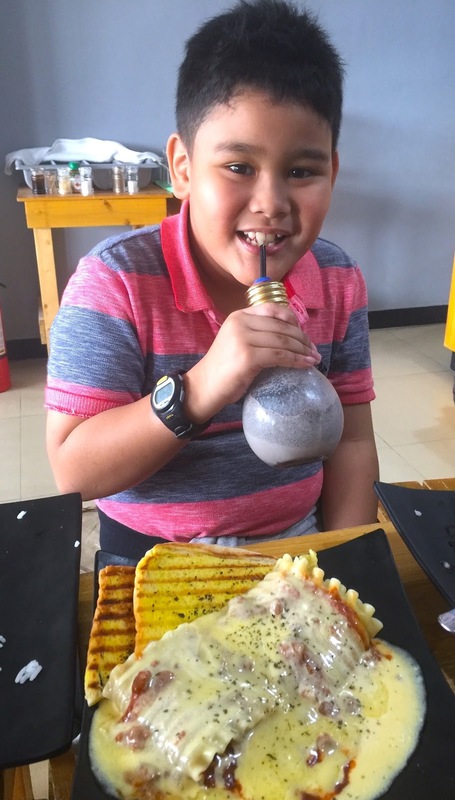 Sweet Madness Cafe x Kitchen in Taytay Rizal is Truly the best hangout for the whole family. Bring your best friends and work buddies along, too!